At any given time, approximately 1 in 25 patients in the US has at least one infection acquired during their hospital stay, say the Centers for Disease Control and Prevention, who have released two new reports highlighting the need to improve patient safety by eliminating this threat to patients. The Centers for Disease Control and Prevention (CDC) have updated their previous estimates of health care-associated infections (HAI) through the two reports, one of which is published in the New England Journal of Medicine, NEJM and details 2011 hospital infection estimates from a survey of hospitals in 10 states. The other is a 2012 annual report on national and state-specific progress toward the HAI prevention goals of the US Health and Human Services. Combined, the CDC say these reports show that, while some progress has been made, more work is needed to eliminate the threat of hospital infections for patients. He adds that health care workers should follow standard infection control practices all the time to ensure patient safety. For the NEJM study, the researchers used data from 183 hospitals in the US during 2011 in order to estimate the burden of hospital infections. During that year, around 721,800 infections occurred in 648,000 patients, around 75,000 of whom died with HAIs. The researchers say the breakdown of the most common infections was as follows: 22% pneumonia, 22% surgical site infections, 17% gastrointestinal infections, 13% urinary tract infections and 10% bloodstream infections. Additionally, the most common germs involved in these infections were C. difficile, Staphylococcus aureus (which includes MRSA), Klebsiella, E. coli, Enterococcus, and Pseudomonas. The team notes that both Klebsiella and E. coli are members of a bacteria family called Enterobacteriaceae, which is increasingly becoming resistant to last-resort antibiotics known as carbapenems. The second report, which focused on a subset of infection types that are required to be reported to the CDC, revealed decreases in certain infections on a national level. • Between 2008 and 2012, there was a 44% decrease in central-line associated bloodstream infections. • During this same time period, there was a 20% decrease in infections related to 10 surgical procedures tracked in the analysis. • Between 2011 and 2012, there was a 4% decrease in hospital-initiated MRSA infections. 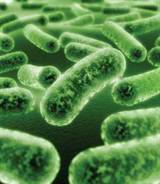 • During this time, there was also a 2% decrease in hospital-initiated C. difficile infections. The CDC say the federal government has made the elimination of HAIs a “top priority,” initiating a number of ongoing efforts to protect patients. Additionally, the FY 2015 President’s Budget requests funding for the CDC to increase detection of drug-resistant infections and improve protection for patients from these infections. Cross contamination, the spread of germs by means of a common touch point is a major vector of communicable illness. Durable antimicrobial treatments such as Nano-Shield can play a key role in breaking this cycle.